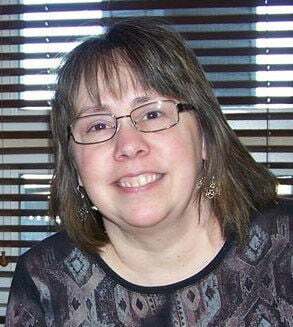 HAMILTON — Susan Marie Glover Matthews, 56, of Hamilton, passed away Saturday, March 23, 2019, at the Discovery Care Centre. She was born June 15, 1962, in Kalispell, the daughter of Lucille Annette Glover and the late Gene Lindy Glover. Susan was raised just south of Kalispell. She graduated from Flathead High School in 1980. She attended Montana State University to become a teacher. Always up for an adventure, she chose to do her student teaching in Bristol, England. She earned her bachelor's degree in elementary, K-8, education in 1984. Susan began her teaching career at the Swan Valley Elementary School in Condon. She also taught for several years in Victor and then spent 1 1/2 years teaching English as a second language in Japan. She returned to the U.S. and then moved to Hamilton. She married Alan “Soapy” Matthews in 1994. Her son, Ryan Thomas Matthews, was born Jan. 23, 1997, followed by Claire Marie Matthews on Jan. 31, 2001. After several years with Daly Elementary, Susan chose to stay home with her young children and help with the family business. In 2006, she returned to teaching and became the beloved sixth-grade science teacher at Hamilton Middle School. She excelled in hands-on science activities inspiring hundreds of sixth-graders by making science fun. In 2012, Susan was diagnosed with stage 4 breast cancer. She spent these last seven years inspiring everyone she met with her strength and determination to live her life to the fullest despite her ongoing battle. Susan is survived by her two children Ryan, age 22 and Claire, age 18, of Hamilton; her mother, Lucille Glover of Great Falls; siblings, Tom Glover and his wife Laurie of Great Falls; DeeAnn Buehler and her husband Craig of Lewistown; Geri Glover of Santa Fe, New Mexico; John Glover of Bellingham, Washington; Charlene Glover and her husband David Golemon of Rio Rancho, New Mexico; five nieces, two nephews, one grandniece and three grandnephews. Susan’s family would like to acknowledge all the people instrumental in helping Susan survive her cancer almost three years longer than statistically expected. These would include the medical staff of Daly Hospital, St. Patrick Hospital, the oncology department, and radiology. Thank you to Discovery Care Centre in Hamilton for aiding Susan to be as comfortable and pain free as possible in her final days. Susan’s family wants particularly to acknowledge Laurie, Tom’s wife and our sister-in-law, as her care was critical for Susan’s ability to manage her illness and to extend her life. Susan and family appreciated the opportunity to be able to call Laurie at any time from before her cancer diagnosis to the final weeks of her life when she relied on Laurie to help her create and fulfill her five wishes. The family suggests that memorials be made to the Susan Matthews Scholarship Fund for a female Hamilton High School graduate pursuing study in science, technology, engineering, arts; care of Daly-Leach Chapel 1010 West Main St., Hamilton, Montana 59840. Susan’s family sincerely wants to thank all of the people in Susan Matthews and her family’s lives as they have touched all of our own lives so profoundly.